What do you see as the key current priorities for the Accountants & Auditors Association (AAA)? 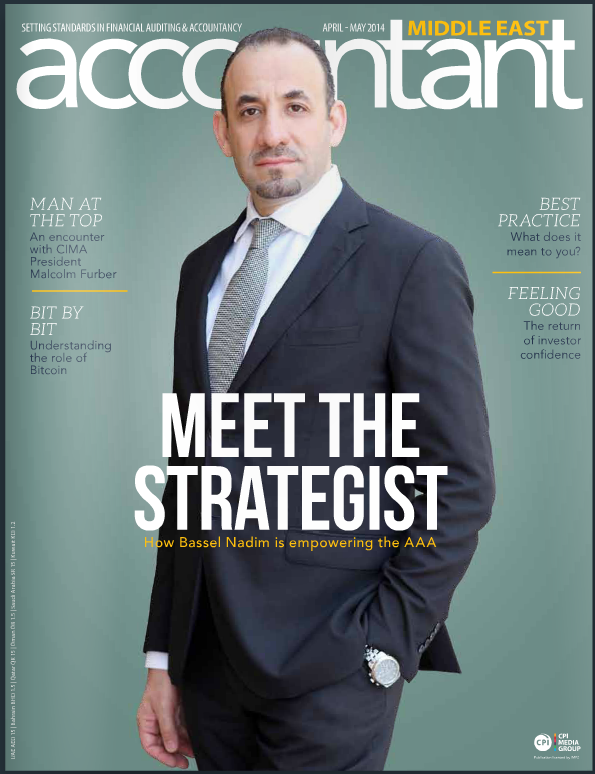 “I believe there are many, but the overall theme is to conduct initiatives to raise the value proposition that the AAA is bringing to the professional sector, in alignment with the financially-related KPIs of the UAE -providing a secure platform and point of reference for the financial professionals working here. I do not believe we have reached that point yet: there are some key steps we have to take first. For example, my first priority has been to work closely with the AAA’s board to redefine the vision and the structure of the organization, so that it is a robust and much focused entity; the next step is to secure support and -moving forward -the right partnership arrangements will be very important. Which industry sectors do you see the work of the AAA as being most relevant to? Is it equally applicable to all? “The AAA is a federal national entity and it should be scrupulously fair and provide equal services to all. However, I do feel that in many areas of commercial life, smaller accountancy and audit firms are not getting a good level of support, and I think it is part of our role to lobby on their behalf. For example, most banks and investment institutions prefer to deal with big audit firms and may not recognize others’ reports as a certifiable comment on your financial standings. This in effect not only deprives smaller firms (which are of course 90 per cent of the industry) of business, but also from claiming better fees. The AAA is geared to develop smaller practitioners as such, allowing SMEs to get prudent and high quality accountinand professional standing. This, in the end, will have a positive impact on corporate financial inclusion in the country. In line with this goal, the AAA is working with IFAC and the World Bank to organize a traininevent for small and medium practitioners in mid- June 2014. According to Dubai SME, only 3 per cent of the UAE’s SMEs publish their accounts and less than 38 per cent produce audited accounts at all. What do you feel about these figures? We have recently seen the AAA sign a number of important international agreements with key associations. Will there be more of these soon? “There will be, in so far as this process suits the needs of the AAA. We pride ourselves on some excellent agreements and associations -the extremely important recent MoU with the ACCA is a classic case in point, and of course, highly relevant to our professional aims and objectives. What are the practical benefits that the AAA can bring to my business – whether I’m an SME, an Enterprise or a large business? “We are developing a new level of offer that’s based around three collective benefits for members: content, capacity building and networking. “The AAA is working with its partners to provide knowledge content to members in the form of magazines, e-zines or through white papers. Plans are being developed to address contemporary issues in the profession. Another unique segment that we pride ourselves on, as a national body, is developing capabilities, enhancing confidence for business owners who have the assurance that members of the team are accredited to a national body -and one with very high standards. This confidence is built either through the development programmes,or through the knowledge that our certificate -the UAE Certified Chartered Accountant -will feed directly into the business. We also provide a wealth of very constructive networking opportunities that allow stronger links with contractors, suppliers and customers, developing the best possible environment for exchange. There is another key factor, too: the presence of our members assures your customers that their work will be performed to the most exacting professional levels, and executed to an international benchmark -setting your business apart from those that are working in isolation and have no clear quality standards. “The situation here with the family business and the accountant will change -indeed, my view is that this situation is starting to change already”. The AAA is working with its partners to provide knowledge content to members in the form of magazines, e-zines or through white papers. As the reputation and influence of bodies such as the AAA becomes more widespread, we will give people more confidence in building a productive career within family businesses, where increasingly -even with the smaller family concerns -the role of the accountant is being seen as fundamental to stability and growth. 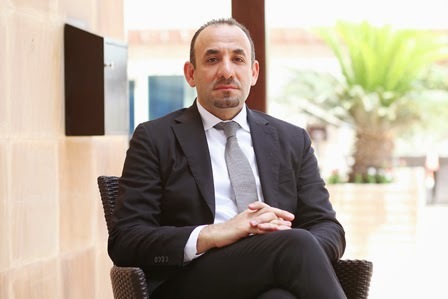 How do you see the role of the AAA evolving here in the UAE within the next five years? Are you actively lobbying for the greater availability of Arabic-based accountancy and audit qualifications? “Absolutely. We have to enable Arabic practitioners to earn the same universally-recognized qualifications and provide high quality Arabic-based services to their clients. The Arabic qualification should provide you with something exactly equal to the English-based module -not simply a certificate at diploma level. This is very basic: we should never prevent non-English-speaking professionals from getting qualified to the best standards.